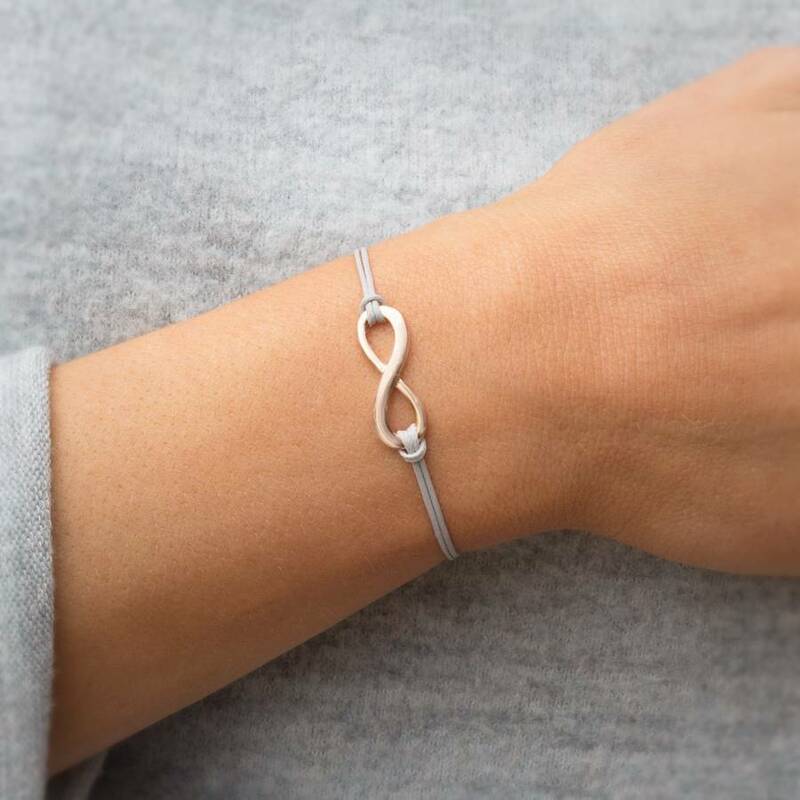 A stunning silver plated eternity charm bracelet made from a double cord strand with lobster clasp and featuring a personalised silver charm if requested. 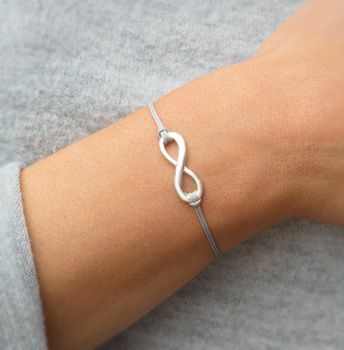 The Luana personalised silver plated bracelet has a beautiful double strand design with silver plated decorative infinity charm and strong lobster clasp. 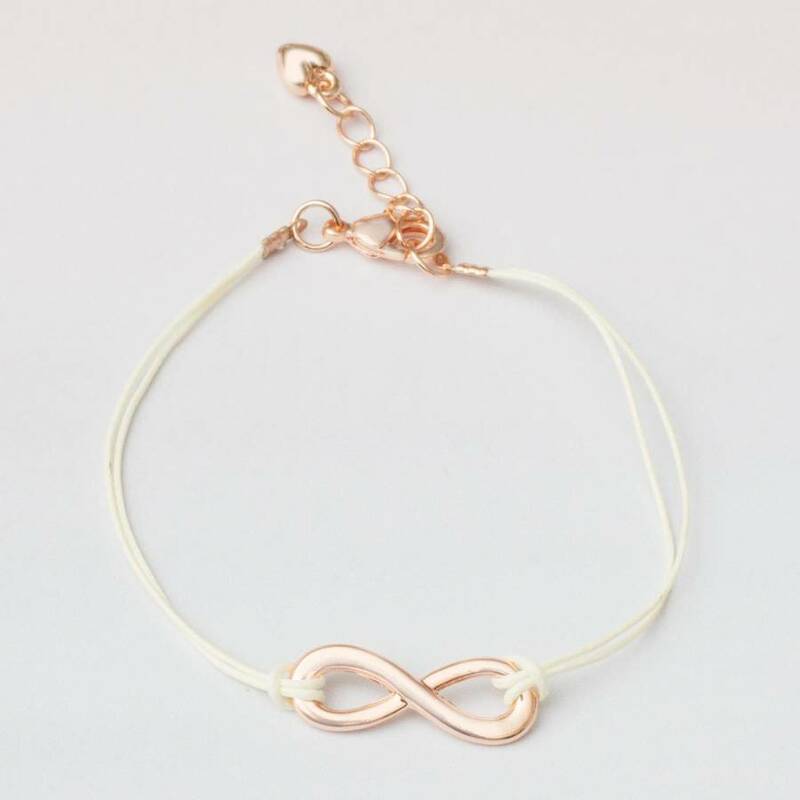 Luana is available with a choice of grey or pink delicate cord and an ornate silver plated eternity charm decoration. 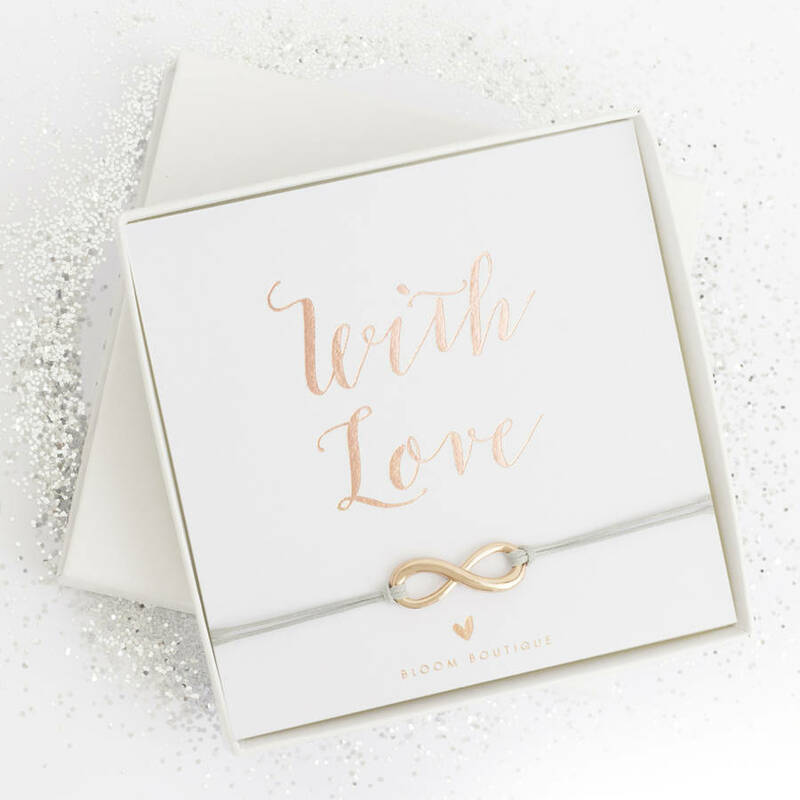 Also why not personalise your item with beautiful hand stamped silver or rose gold plated letter, to make your gift that extra bit special. 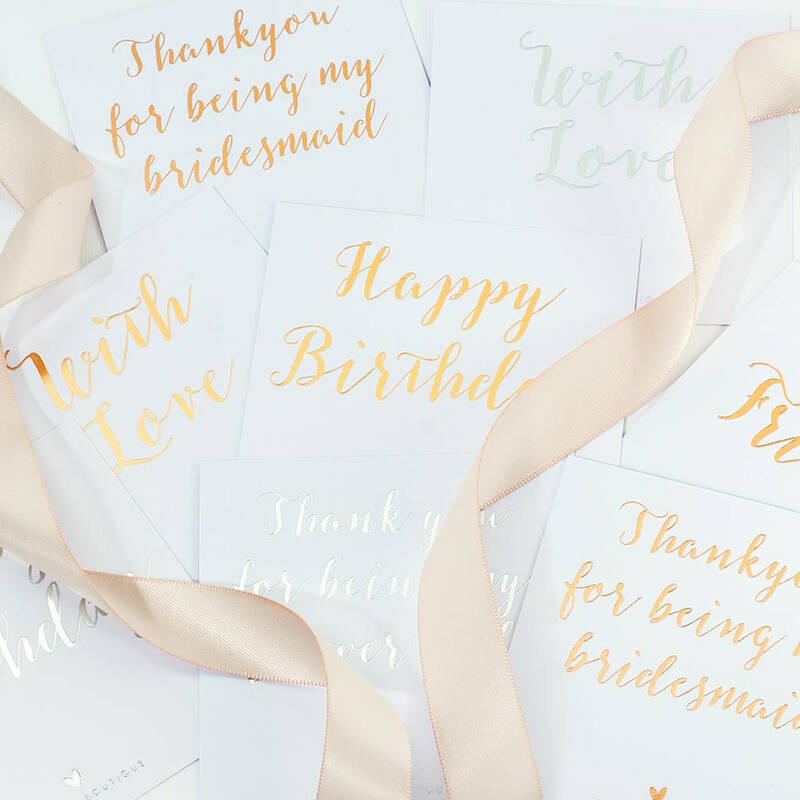 We also offer a great free gift card covering many occasions and sentiments. 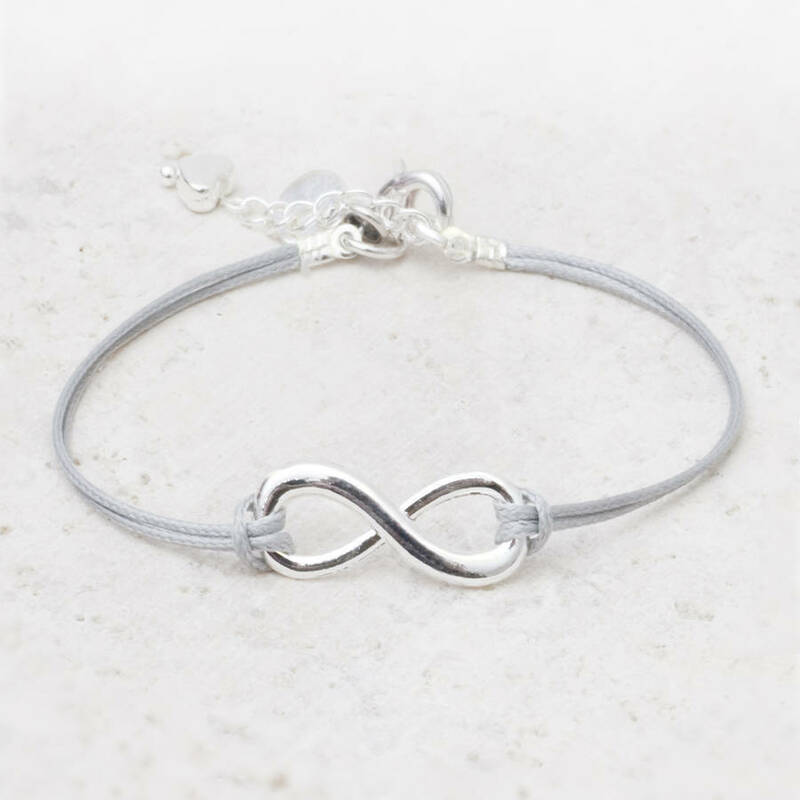 Waxed thread, eternity charm is silver plated. 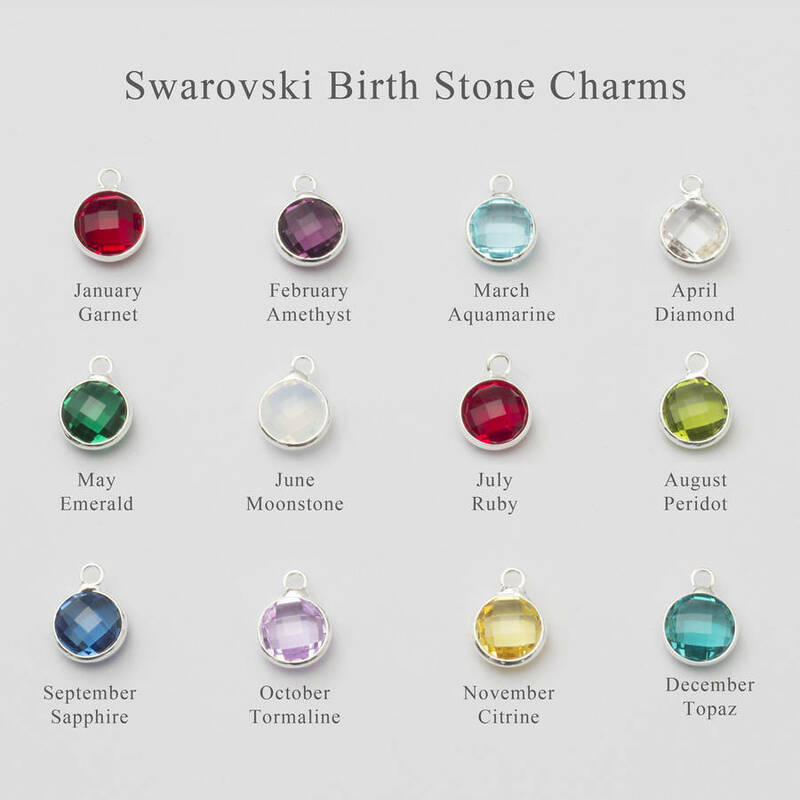 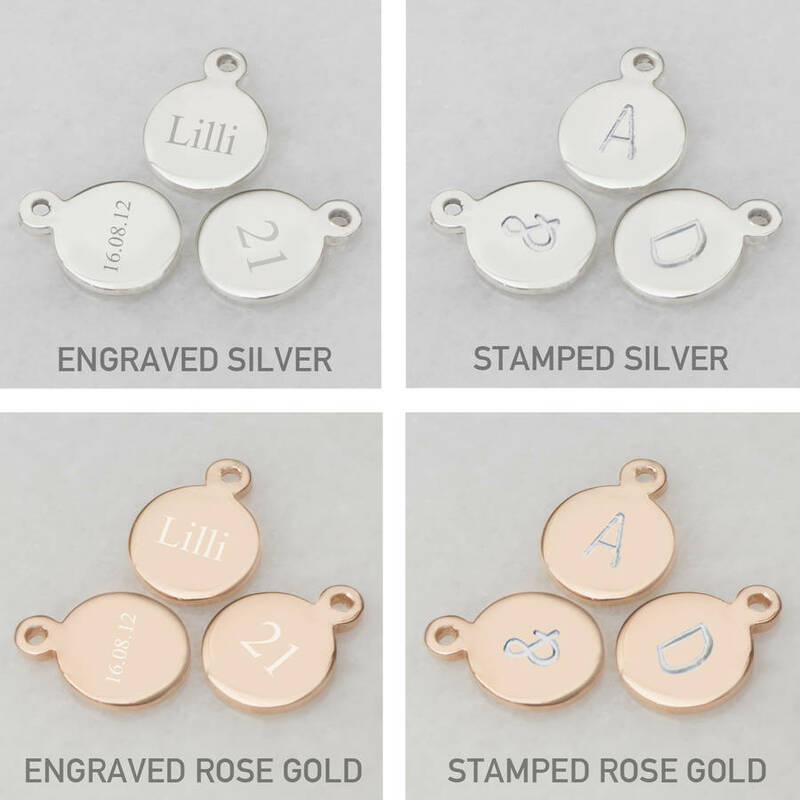 Charms, silver or rose gold plated brass.